Sisal is the perfect fibre for dry body brushes, preferred by experienced body brushers & professional lymphatic drainage experts alike. The Mexican cactus used in this salon quality beechwood brush has low flex, thicker fibres, which 'round off' with use and improve with age. 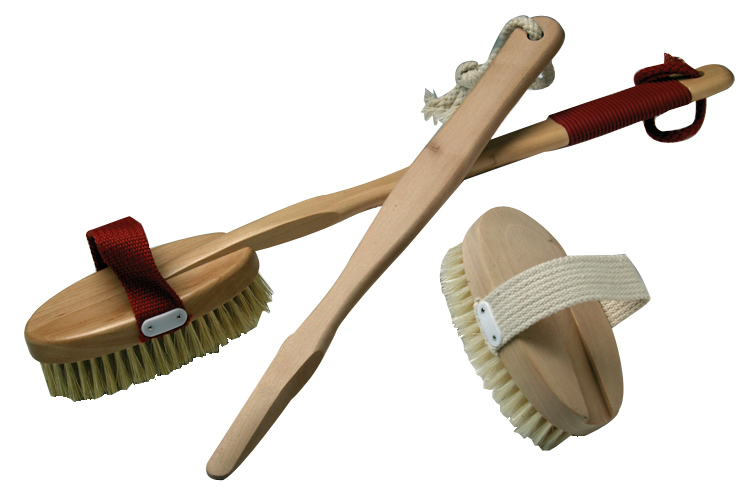 Body brushing is a great way to remove dead skin cells, boost circulation & improve the lymphatic system. Make the brush strokes very light and always follow with the hand to smooth, Use wet or dry.